Jenny Hill Bratt is an associate in DLA Piper's trusts and estates practice. She concentrates her practice on trust formation and administration, incapacity planning, estate, gift and generation-skipping transfer tax, life insurance planning, charitable planning, and intra-family transactions. In 2007, Bratt was a member of a delegation from the State Bar of California to Washington, D.C., where she co-authored and presented a proposal to provide clear rules applicable to trusts named as remainder beneficiaries of Individual Retirement Arrangements to members of the Treasury Department and staff members of the House Ways and Means and Senate Finance Committees. In early 2011, she served on an American Bar Association task force that submitted comments to the Internal Revenue Service on Form 8939 (Allocation of Increase in Basis for Property Acquired From a Decedent). Bratt currently serves as second vice chair on the California State Bar Tax Section-Exempt Organizations Committee. Bratt is on the board of directors of Congregation Beth Israel and is a 2011 graduate of the Anti-Defamation League’s Glass Leadership program. She is also a member of the American Bar Association’s real property, trust and estate section; the trusts and estates section of the State Bar of California; and the trusts and estates section of the San Diego County Bar Association. Bratt currently serves as second vice chair of the Tax Exempt Organizations Committee of the California State Bar and is a member of the Professional Advisor Council for the Jewish Community Foundation. She is also a Life Member of the University of California, San Diego’s Alumni Association. Before joining DLA Piper, Bratt lived in New York City and practiced trusts and estates with Cummings & Lockwood in their Greenwich, Conn., office. 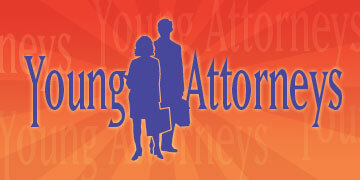 She is admitted to practice law in California, New York and Connecticut. Bratt received her bachelor's degree at UCSD in 2003, an LL.M. 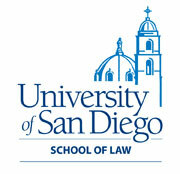 in taxation at University of San Diego in 2005, and her J.D. from USD’s School of Law in 2006.